Our Vizsla Rescue team is a big Vizsla-mad family. Excluding the rescue dogs that are in our permanent care, we have 21 Vizslas between us!! When we aren’t helping a ginger dog in need or checking out potential homes we are working full time in our day jobs, caring for our families or out working/walking our own dogs. 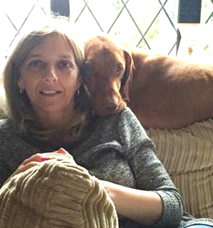 Sylvia is the original UK ‘Vizsla Rescue’ lady – she has been rehoming Vizslas for over 35 years, starting back in 1982, when a friend of hers needed help to find a new home for her Vizsla due to an unfortunate change of circumstances. When Sylvia first started rehoming Vizslas she would only have 1 or 2 a year, now we see around 80. 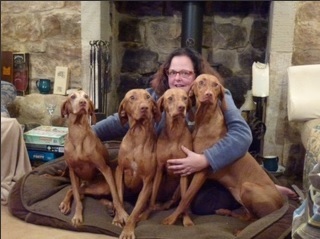 Since then whilst also owning her own Vizslas, Sylvia has been rescuing and rehoming dogs from all over the UK. Many come to her with severe behaviour issues and after some recuperation and retraining, they are then able to go on and lead normal lives. Sylvia currently has 10 dogs in her care; some looking for new homes and others are our ‘End of Life Dogs’ which you can read more about here. With so many rescue dogs in her care Sylvia doesn’t get much down time, but when she does she enjoys days out in the fields working her own dogs. Amanda joined the Vizsla Rescue team over 20 years ago when she owned her first Vizsla and her first son was only young. Since then Amanda has helped rehome hundreds of dogs from all over the UK for a vast majority of reasons. Amanda, her husband Jim and two sons are heavily involved with Vizsla Rescue, welcoming in dogs to their home to help assess and retrain before finding them new homes. Amanda has 4 Vizslas of her own who are all incredibly accommodating to their new roommates. Along with their own dogs, Amanda & Jim also housed an older Vizsla who was brought into rescue a few years ago – she is too elderly to rehome so they took her in and made her part of the Roche team, sadly we had to say goodbye to her at the end of February. 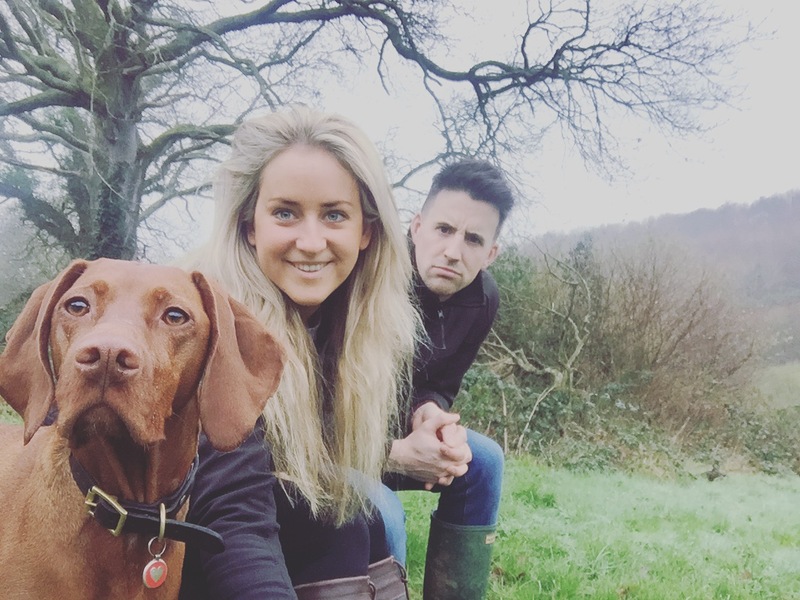 By day Amanda is an accountant – although working hours and long and stressful, Amanda still finds time to speak to several people every evening, who are enquiring about adopting a dog and also managing the Vizsla Rescue accounts. 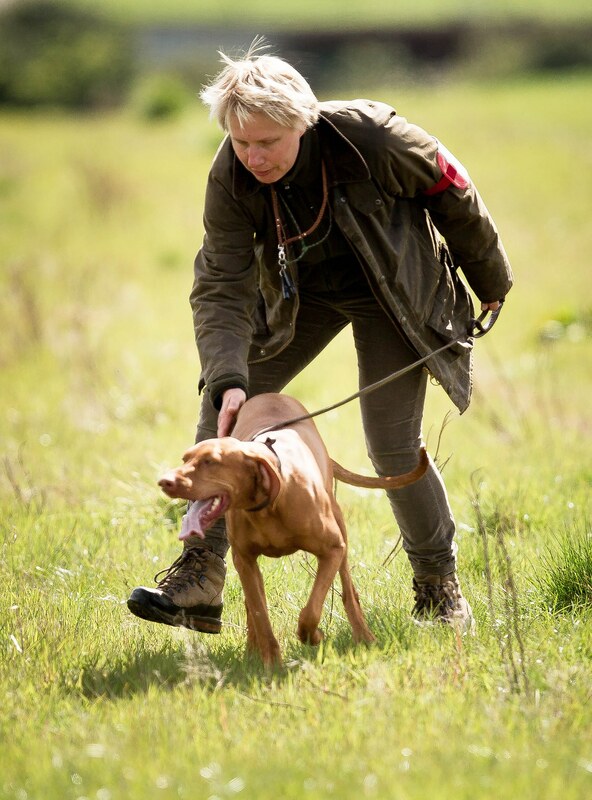 Natascha grew up with Vizslas and other HPR breeds (mainly GWP’s and Large Muensterlaenders) in Austria, accompanying her father on shoots and helping him to train his dogs. 11 years ago Assi joined her in the UK. She has become a very loyal friend and an amazing companion in the field. Natascha now has 6 girls; all of whom she works and shows. As well as her love for dogs, Natascha has a son who adores all the dogs & regularly joins them out on shoots. Other animals often frequent their household – such as lambs and other wildlife. 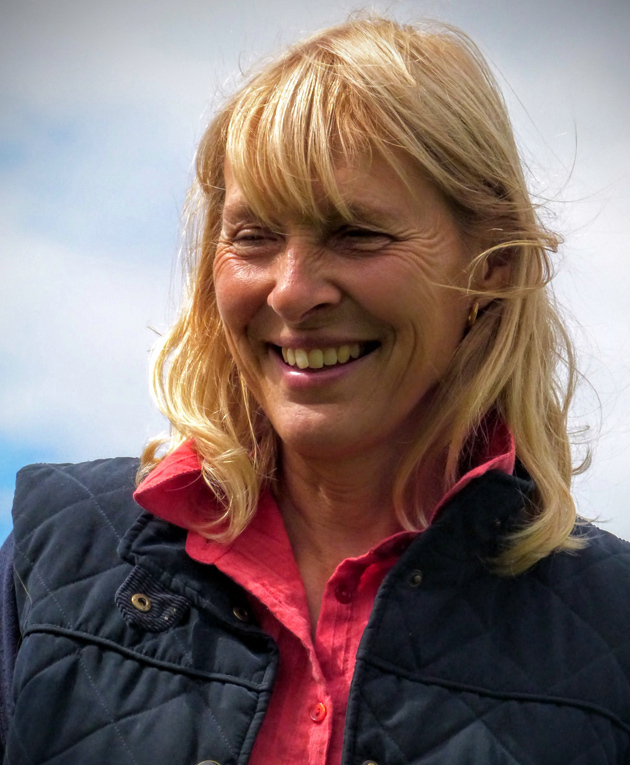 Natascha takes great care of her animals and works alongside a local farmer with his cattle, sheep and wild fowl. As well as her love of outdoors Natascha is also an accountant. Taking centre stage with our stock, she has an amazing eye for new designs and details. Natascha loves welcoming new stock to our shop and ensures it is of the highest of quality and of course features a Vizsla or two! One of her great on going achievements are the Vizsla Rescue Calendars, which are filled with stunning Vizslas from all over the world. Natascha also assists the other rescue co-ordinators by speaking to potential new homes, taking in dogs when they need assessing and placing dogs in their new homes – Natascha has rehomed many dogs over the past few years who have all gone on to lead wonderful lives. Emily joined the team shortly after getting Olive, her first Vizsla who is now 4.5 years old. Although her first Vizsla, Emily has grown up with dogs and also horses. By day Emily works in marketing at a local law firm and by evening can usually be found riding her horse, with Olive by her side. Once at home Emily will spend an hour or two every evening chatting to potential new owners or owners who are having to part with their dogs. Emily has successfully rehomed over 80 dogs in the time she has helped rescue and still keeps in touch with a vast majority of them. As social media is one of her passions you will usually find Emily behind the posts – so do make sure you follow us on Facebook & Twitter. Recently Emily has been assisting in new stock ideas; after writing her first Children’s book, she has now moved onto some exciting new stock which you can find in our shop! Grant administers the IT systems for the Charity. 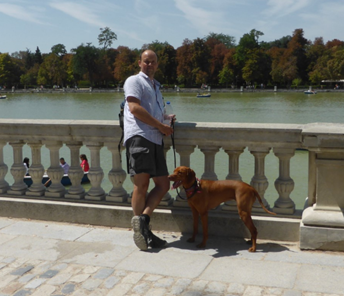 He has just the one Vizsla himself but she has her passport and enjoys her European holidays. His Vizsla is first and foremost a family pet but she also enjoys going out shooting and fully partaking in this experience. Grant is an IT consultant but in his spare time does what he can to support the Charity. Jim brings vast amount of knowledge to the team, through his worldwide travels and experience with the breed over the past 20 years. Amanda & Jim work together with all the dogs that come into their home – helping with retaining, adjusting to their new lives and finding them the best possible homes. You may know Angie from a different name – the famous ‘Vinnie AJ Foot’! This handsome Vizsla has his own Facebook account – we know they are clever dogs but he still needs Angie to type for him! Angie owns Vinnie and Luka who are brothers from two different litters but share the same parents. Angie’s other loves are her family and cats. Angie has been a member of the team for many years and when she isn’t helping her mum, she helps the team tremendously on social media and research – keeping an eye on gumtree, pets4homes sites etc. where she helps guide people towards rescue, as believe or not, not many people know we exist. Claire joined the team last year and owns 2 of her own Vizslas. Claire helps with all administration of microchips and donations that come into Vizsla Rescue. It such a huge help – microchipping is so important not only for the safety of your dog, if they were to get lost but also it is required by law. It is essential we have all microchip details of the dogs so we can act as backup in a time of need. Eddie is the other half to Claire and helps with administration of microchips and chatting to new Vizsla owners. He is also the one who keeps Claire on track with the dogs they foster and helps to extract them away from her into their new homes!!! Di has recently joined the team in July 2017, but is no stranger to the world of Vizslas having owned them for several years. Di currently has a Vizsla called Scarlet who her and her husband adopted from us last year. Prior to that Di and her husband had another wonderful Vizsla from us who sadly passed away at the amazing age of 14 in 2015. Di will be helping us with the numerous adoption enquiries we have in everyday, ensuring we manage to speak to everyone who would like to adopt a Vizsla. In her spare time Di enjoys being outside with Scarlet and taking relaxing breaks with her husband and Scarlet in their caravan.